The agency-client relationship is tricky - while some agencies dream big with grandiose ideas for executing a project or campaign, a brand may be constrained by strict guidelines and a limited budget. The absence of communication leads to a tense business relationship, and, potentially, a break-up. According to a study by R3, the average agency-client relationship lasts 3.2 years. Instead of giving up, it may help to pinpoint where the relationship went wrong. The healthiest agency-client relationships have lasted over 22 years, and that is due to a strong foundation built on trust, communication, understanding, and listening. As the bridge between the marketing agency and client worlds, we used our agency-client network to gather insights about the most important topics that both agencies and clients want to communicate to their partners. 1. Agencies should educate themselves about the company with everything publicly available and then augment that with additional info from the client. This topic was highlighted most frequently by both client and experienced agency participants. As the client’s partner, advertising agencies should constantly make an effort to thoroughly understand the inner workings of each of their client’s businesses through research and in-depth conversations. In other words, if the information is a simple Google search away, the agency should already know the information. Brand-side marketers appreciate agencies who value understanding how a brand operates and take a more proactive approach to their proposed solutions. 2. There are layers upon layers of bureaucratic red tape at big companies - I wish my agencies knew how to help me navigate it. Since the brand may be under strict regulations when it comes to a budget, agencies need to listen to company objectives and expectations, while being patient about the approval process. The faster an agency understands what they can and cannot do, the faster they can work. 3. I love new ideas but don’t be put out if we can’t execute everything the way you think we should. Agencies should not be afraid to challenge ideas and resist being an “order taker,” but they also must know that, at the end of the day, the client knows their business better than anyone. The agency may be an expert on emerging trends, but listening to the needs and boundaries of the client will help execute the task accordingly. 4. Clients want strategic consultant services, not someone “selling” something. 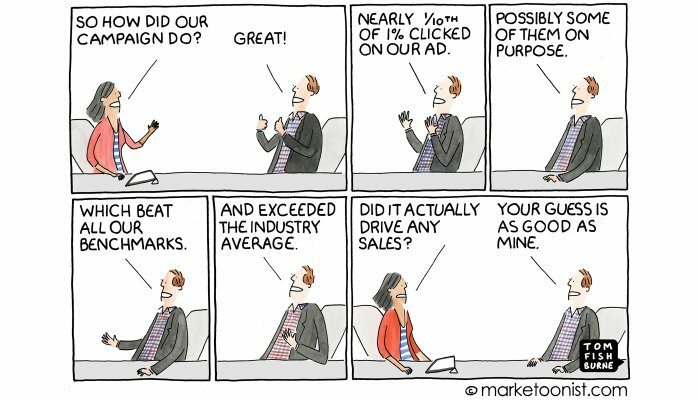 Agencies...don’t even think about upselling! The partner’s job in a relationship is to support, provide expertise, and understand. 5. Clients want an extension of their team…not fair-weather friends. Once a client selects an agency, both parties enter a partnership. The agency becomes a member of the team, with a stake in their client’s business. "Clients want an extension of their team - not fair-weather friends." As an extension of the team, it is not only important to speak up and communicate with transparency about concerns, but it is also important to back up and support the brand’s efforts. As an expert in their field, agencies can prove the value of their marketing efforts and should educate this importance to non-marketers of the company. The agency-client relationship is a two-way street that requires constant effort and a deep understanding of the other party. Maintaining a strong relationship can be difficult... but a good partnership is always worth fighting for. Now that you’ve finished reading “Things Clients Wish Agencies Knew,” read more about the agency relationship in our blog, “Things Agencies Wish Clients Knew” with our agency partner’s insights. Special thanks to Tim Hernquist, Drew Hawkins, Katharine Voyles Mobley, Jason Rockman, and others for their contribution to this post! There are a number of paths a marketing executive can take when determining who and what will guide a marketing strategy. Choosing a marketing agency partner can depend on multiple variables including team capacity, capability, and situation. Though the rapid growth and evolution of marketing has blurred the lines of different “agency” types, it's still helpful to note the key differences between them. Just like how a marching band has multiple sections to sound good, a marketing agency has multiple departments to function properly. Navigating the different roles and purposes of each department can get confusing and overwhelming, however. Here is a simple breakdown of some typical agency departments (and the roles within) for those interested in working in/for a marketing or advertising agency. When do you need to stop using your in-house team for every project and hire a marketing agency? Finding an agency who is an expert in your industry with a hefty skill set may be difficult at first, but with the proper guidance, it is just what you need to succeed. Between the APIs, ROIs, and BOPUS mumbo jumbo, there is a lot going on in the marketing world. But instead of saying TTYL (talk to you later) and leaving you guessing about these mysterious phrases, we are here to demystify the masses. Here are the most important acronyms you need to know in the agency world. Clients and Agencies Should Embrace “The Challenger Sale"
As a part of the AgencySparks vetting process, we interview agencies to determine the health of their current or past relationships. Over the course of 45 sets of interviews conducted, we have found a reoccurring theme - agencies who are “order takers” tend to have weaker client relationships. Agencies need to become challengers in order to offer their client’s the best solutions. The Challenger Sale Approach, which is based off of Matthew Dixon and Brent Adamsons book “The Challenger Sale: Taking Control of the Customer Conversation,” is a method to help salespeople (or agencies) build healthy relationships with clients by challenging them. Most of the time, companies view the Request for Proposal (RFP) as the only option for seeking help with a marketing project, program, or initiative. RFPs are not the only solution and can often be a waste of time, money, resources, and effort for both clients and agencies. When clients have marketing challenges, they often look to an agency for help. Often the best way to determine if a marketing agency is qualified to deliver quality work on time and within budget and scope is through a Request for Proposal (RFP). No need for romantic gestures with boomboxes, dance numbers, or flowers, but a sit-down conversation where the agency can interview the brand and the brand can interview the agency.